If you’re interested in getting a facelift, you’ve probably done all your research. You know that a facelift can help take years off of your appearance by correcting sagging muscles, removing excess skin, and fading the appearance of wrinkles and fine lines. You may also know that the results from a facelift procedure can last for a long time; up to ten years, in fact. Should You Get a Facelift and a Neck Lift? While the procedures you choose to get are entirely up to you, it is generally recommended that patients undergoing a facelift get a neck lift at the same time. Here’s why: When you’re undergoing a facelift surgery, chances are that you’re doing it because you’ve been experiencing moderate signs of aging, like sagging skin, drooping muscles, and maybe even excess fat around the jawline and eyelids. This aging effect isn’t just restricted to your face; in fact, if it’s happening to your face, it’s likely that it’s happening around your neck, too. If you just get the facelift, it may help you look younger – but like with skin care, if you neglect the neck, your neck skin is going to give away your real age. That’s why so many plastic surgeons recommend combining the two procedures so as to produce the best possible results. 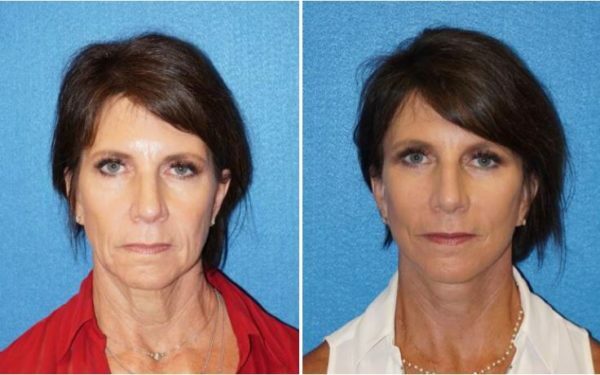 Want to learn if you should combine your facelift with a neck lift? Schedule a consultation with board-certified plastic surgeon Dr. Rudy Coscia at his new plastic surgery practice in Granite Bay, CA.